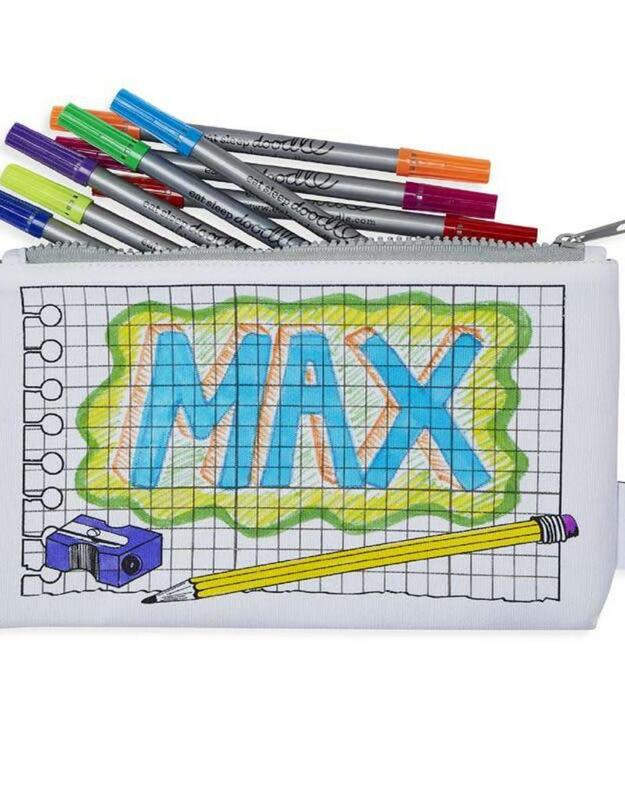 One of the best back to school gifts for kids, our color-in notebook pencil case is a real hit with kids (and adults love it too!). 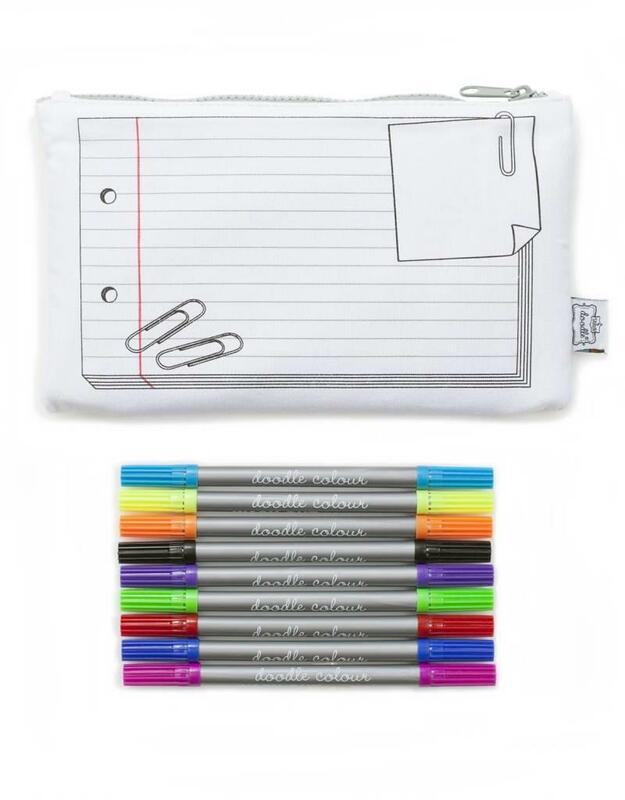 Draw, color and personalize your pencil case with the included set of ten wash-out fabric markers, then at the end of semester, or whenever you're ready for a new design, simply wash the pencil case in the machine, the ink completely disappears, and it's ready for a new look! 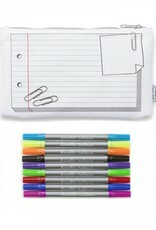 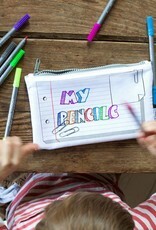 Makes one of the best gifts for creative girls or boys! 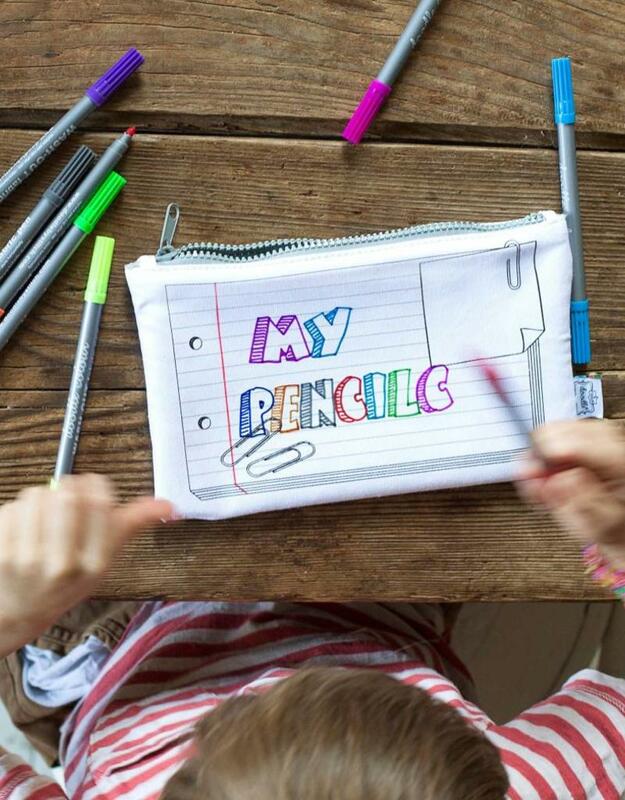 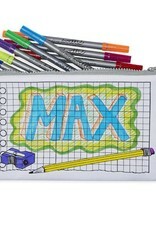 See the doodle pencil case in action in our mini video here!